The British Gazette » The chastisement of Comrade Corbyn: Why? Many British Gazette readers may identify with the above image. 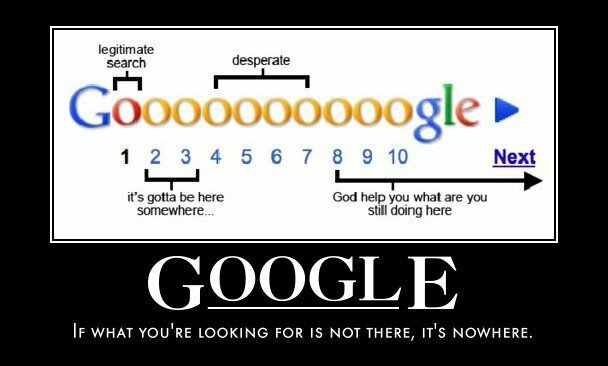 Google has become an integral feature of so much internet activity which in turn has become an integral feature of so many lives. Often people search for answers as some questions they have do not have answers served up in articles they come across in the media. Today’s Guardian article is a classic case in point. This organ has a lot of time for Comrade Corbyn. He is a rarity these days. A politician who gets up at a public meeting and states what he believes and offers the voter a vision of how he would like to see the country run. Everybody (apart from those who have been living on the Planet Mars for the past two years) knows why poor Comrade Corbyn is being chastised and by whom. Of course all those in the Tory party and the Liberal Democrats (not to mention the SNP) will be revelling in their schadenfreude as the Labour Party writhes around the Commons and the country like a wounded beast in great pain. Whilst poor Comrade Corbyn is in a minority in the Parliamentary Labour Party, he has the overwhelming support of most Labour Party members and the enthusiastic and boisterous support of most Labour Party activists. Of course, establishment supporting organs such as the Guardian will leave it at that. They will not care to analyse and the situation further and ask certain questions as they do not want to put the answers to such before the British People. The reader no doubt will be pleased to hear that the British Gazette has no such inhibitions! What we are seeing on our TV screens, monitors and in our newspapers is a coalescing of the establishment about the question of having the RAF extend its air strikes into Syrian airspace as well as the airspace of Iraq. Before examining the politics of this we should realise that the additional capability the RAF can bring to the theatre is limited. The real reason for extending the RAF’s circle of operations is political. It is the politics and the evolving consensus across the front bench Commons establishment (to which Comrade Corbyn is not party to) that can reveal a lot about why the Europhile establishment that run the UK today are taking the actions they are. One of the arguments the Labour activists who support Comrade Corbyn use in opposing UK air strikes is that it will encourage IS to attack the UK. This is only partly correct as the UK is already taking action against IS in Iraq and IS are already planning to carry out terrorist acts in the UK. They are correct however to conclude that any British action in Syria will only encourage IS further. The establishment are quite prepared to heap this additional risk on their electorate as these establishment politicians want to maintain the status quo that is the UK’s present geopolitical situation. This may appear to be the case, but as British Gazette readers well know in modern British politics, appearances are generally deceptive and this is certainly the case in this instance! “Yes Please! Mr Obama Sir! The slight fellow shouts and runs quickly over to the group. With that “Dave” punches the fellow three times in the face and then retreats back into the flat. Later in a public house you see this “Dave” fellow. He is trying to chat up a middle age blonde woman nursing a glass of German lager. Angela does not seem to be that impressed! The simple FACT is that the UK does not “punch above it’s weight” it punches as and when the USA permits it to! In return, the UK has to follow the USA’s wishes. This includes being part of the EU. The FACT is that the consensus across both front benches is to maintain the UK’s “position on the word stage” and membership of the EU. Because of the perceived POLITICAL benefits this gives them. The actual “real world” cost of this is NOT the £20 billion per annum figure touted by UKIP but the realisable £4-5 billion per annum figure that would result from the “Norway Option” being adopted by the UK. What should happen – but won’t – is that Labour activists should realise that leaving the EU would save £4-5 billion per annum and would cause the UK to no longer occupy a position that has been created for it by the USA on the world stage. They could make additional savings by reducing defence expenditure but it would be very unwise to reduce the size of the British Army – although it would be sensible to reduce the numbers of armoured regiments and increase the size of the infantry. This is because IS is not going to go away. What a brilliant article Peter.